IS: 12-3/4 x 12 ins. PS: 18-5/8 x 15-3/16 ins. 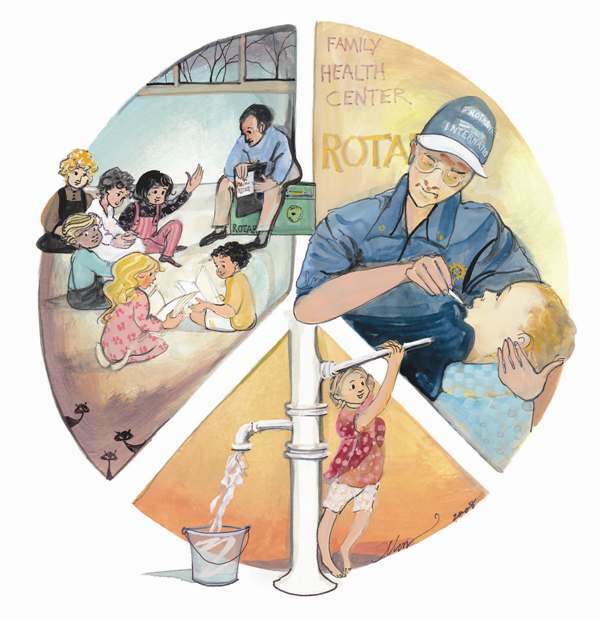 Honorary Rotarian P. Buckley Moss has teamed up with Rotary District 7570 to create this fine art depiction of Rotary. Taking Peace through Service as a theme, Pat shows Rotarians at work dispensing polio vaccine, providing clean water, and promoting literacy.